We are looking to recruit an energetic and motivated Surgical Critical Care Consultant to join one of the leading healthcare organisations in the Middle East - Hamad Medical Corporation. 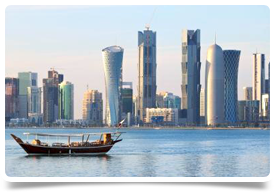 This position will be based in one of Hamad’s new hospitals, the Doha Industrial Area Hospital, which is opening later this year. DIAH is primarily intended for male expatriate blue collar workers but scope may expand at a later date. To apply for this role you will have worked as a Consultant for a minimum of 1 year post CCT/Board Certification or 3 years' post CESR. To meet the needs of a rapidly growing population HMC has announced ambitious plans to expand capacity across its network through to 2030. This expansion plan includes a further three new hospitals in Hamad Bin Khalifa Medical City.